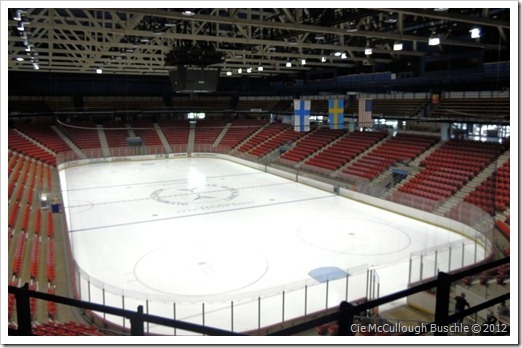 In the heart of downtown Lake Placid lies the Olympic Center, home to three indoor skating rinks, the outdoor speed skating oval, and the only Olympic Museum in the United States. But to anyone who watched the 1980 Winter Olympics, it’s the place where Miracles happen. 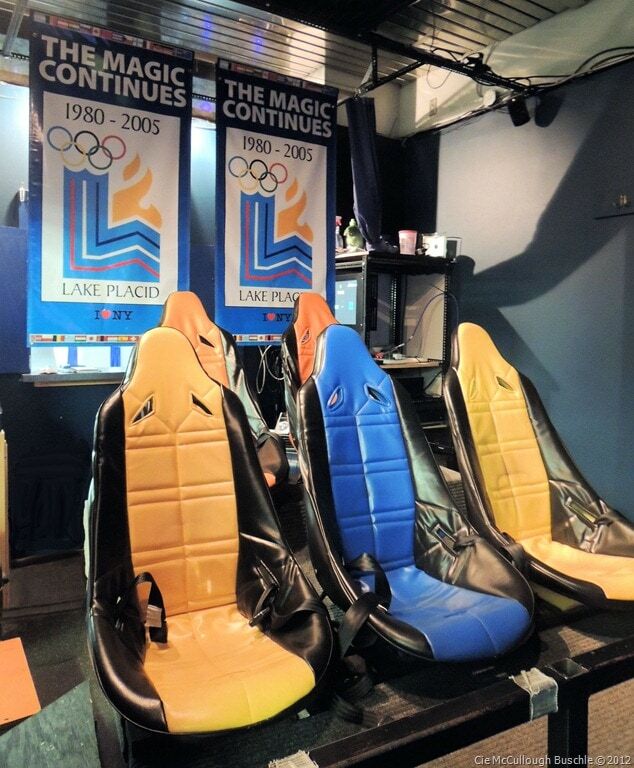 No visit to Lake Placid is complete without a stop at the Winter Olympic Museum. 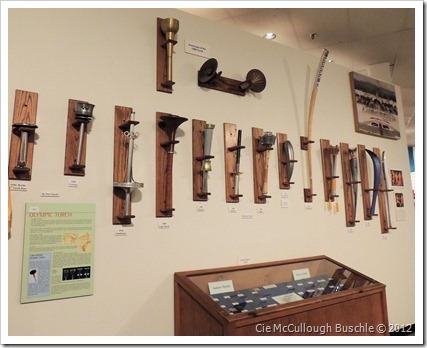 Here you can see artifacts and memorabilia from not only the 1932 and 1980 Lake Placid Winter Olympic Games, but also around the world. The museum boasts a collection of medals, torches, posters, uniforms, and even mascots. 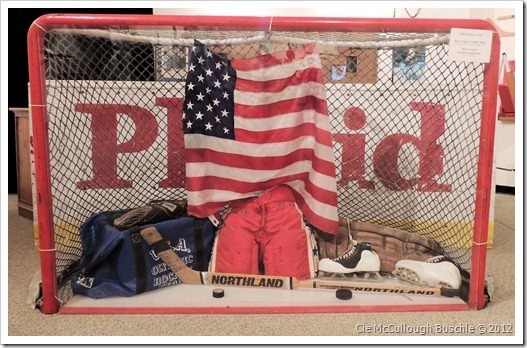 Of course the centerpiece to the museum are the displays dedicated to the 1980 hockey game between the USA and the USSR, otherwise known as The Miracle on Ice. This is the story of a true underdog: a team of amateurs and college students came together to not only win the Gold, but to defeat a team who had won nearly every world championship and Olympic tournament since 1954. 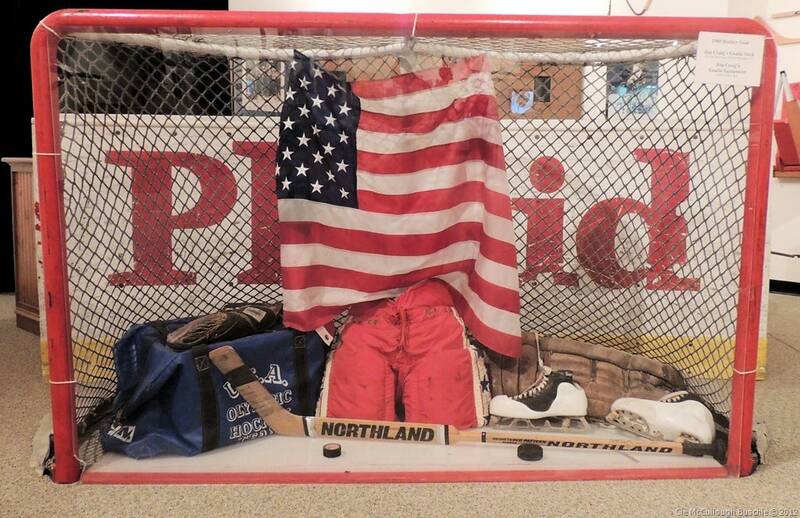 Sports Illustrated named the “Miracle on Ice” the Top Sports Moment of the 20th Century. In case you don’t know the story, the Soviets were older, well trained, and had been together for years. The Americans had only been a team since the previous summer. In an exhibition game at Madison Square Garden, the Soviets won 10-3, increasing the natural rivalry. But the MSG game also led the Soviet team to underestimate the Americans, which Soviet head coach Viktor Tikhonov later said “turned out to be a very big problem”. It was; the US upstarts beat the over confident Soviets, 4-3. 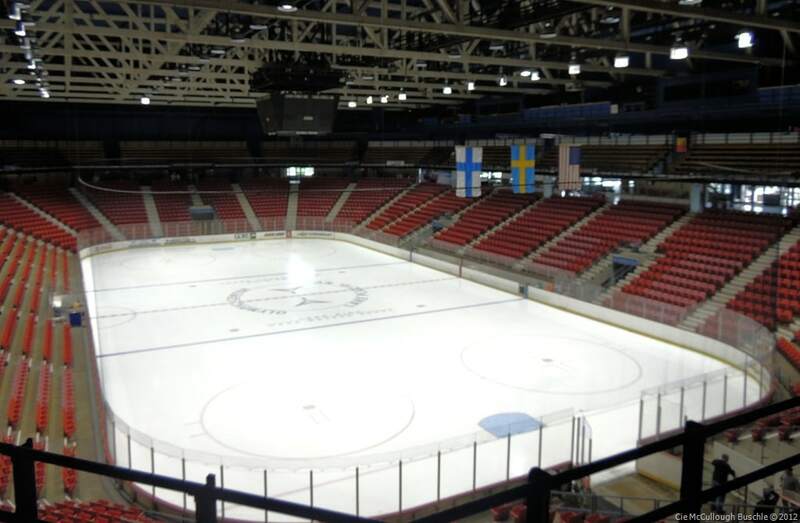 Outside the museum is the 1980 Herb Brooks Arena, named after the 1980 coach, where it all happened. Most days the rink is open for viewing, but it is still in use so if you go check the schedule. Or, take a guided tour for a behind the scenes view, complete with insider information. There are in total four rinks in the Olympic Center: three inside and one outside. Back in 1932 on the outdoor speed skating oval local Jack Shea, first of three Olympians in his family, and teammate Irving Jaffe won two Gold medals apiece. That same year 16 year old Sonja Henie skated to a Gold on the original indoor rink, presently renamed the 1932 Jack Shea Arena. In the 1980 Winter Olympics Eric Heiden took to the outdoor rink to become the only speed skater to win Gold in all five events. In the Winter the outdoor rink is open for public skating, while the three indoor rinks have varied schedules for practice and competitions year-round. 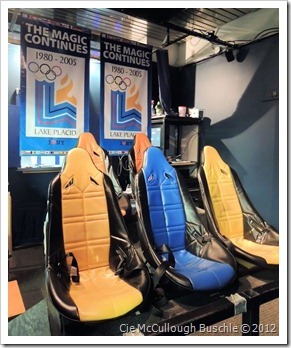 Also at the Olympic Center is a Sports Simulator Ride: a six minute ride that lets visitors experience some of the most thrilling sports without getting hurt. The ride shows the point of view of the athlete in the Ski Jump, Bobsled, Luge and Skeleton on a huge monitor, synchronized with five mechanical seats. The chairs move left and right, forward and backward, up and down – all making for a memorable experience far beyond simply watching the sports on TV. As mentioned above, there is a guided tour available of the entire Olympic Center, with highlights that might be missed just wandering the halls. The guides are locals, instrumental in the 1980 Olympics, and very knowledgeable. The history of the games and the building come alive as they talk. The Olympic Center is located at 2634 Main Street in Lake Placid. The Center is open to the public, and there is no fee for entering. There is a cafeteria and gift shop within the building. 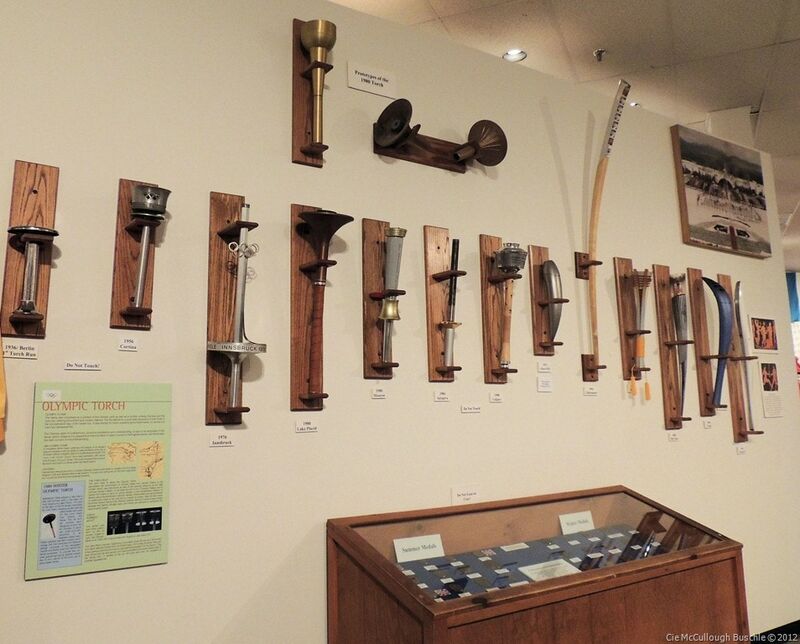 The Lake Placid Olympic Museum is on the first floor of the Olympic Center, and is open daily from 10am-5pm (Closed for Thanksgiving, Christmas and the Ironman competition). Adults are $6, ages 6-12 and over 65 are $4, and under 6 are free. Entrance to the museum is free with the Olympic Passport. The Sports Simulator Ride is on the second floor outside the gift shop, and is also open daily from 10am-5pm, with the exceptions of Thanksgiving, Christmas and the Ironman competition. The ride cost is $7 with 20% if you have the Olympic Passport. The guided walking tours are approximately one hour, and cost $10 per person. Tours are scheduled at 10am, 11:30am, and 1pm, Monday through Saturday. The Olympic Passport also helps out here, giving $1 off. All the rink are included, but not the museum.